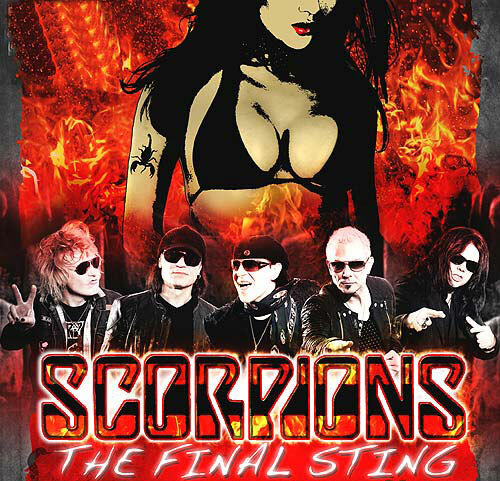 The incredible success of our farewell tour is the high octane fuel driving the upcoming "Final Sting Tour" 2012, which takes us around the globe (Europe / USA / Canada / Latin America / Asia). The Liza Colby Sound is special guest! http://SCORPIONS.jonesbeach.com Thanks for all the emotional moments. 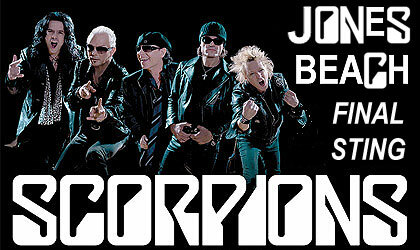 Our label, Sony Music, supports this tour with different projects and so there is not only "Scorpions Live in 3D" which appeared at Media Markt, but also "Comeblack" a new CD with some of our Classics with the sound of the 21st century and songs from legendary bands like the Beatles and the Rolling Stones that have inspired us.